CARACAS - The Paris-based International Energy Agency (IEA) reported on Friday that oil production from Venezuela’s state-owned, state-controlled, and state-operated energy company, PdVSA, dropped by 12 percent last month, following a decline by a third in 2017. The announcement avoided saying anything disparaging about the Marxist government’s ham-handed mismanagement of the company, nor did it criticize attempts to run the company with military officers with no technical training in place of the technicians who were in place earlier. Nothing was said about the arrest of dozens of top officials of the oil company in Maduro’s attempt to blame the fall in production on their corruption, mismanagement, and fraud, instead of his socialist program of Chavismo. And certainly no mention was made of the root cause of the collapse: Socialism always fails when it runs out of other people's money. 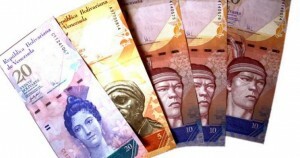 Maduro is about out of other people’s money. He has been forced to barter away his government’s jewels and diamonds in exchange to foodstuffs and military supplies, just as his people are bartering just to stay alive. That nothing was said by the IEA about the root cause isn’t surprising: The global agency sprang into existence during the 1973 energy “crisis” inflicted upon the United States by Middle Eastern oil-rich companies. This was a perfect time for top-level insider Henry Kissinger to recommend the creation of another international agency to manage such things in the future. Appropriately Kissinger announced the plan in a speech to the Pilgrims Society in December that year. The Society, founded in 1903, has entertained and informed international elitists ever since, and was a perfect place for Kissinger to make the announcement. The IEA is headed up currently by another internationalist, Fatih Birol, with all the statist and totalitarian bonafides behind him to qualify him for the position. Birol is chairman of the World Economic Forum (Davos) Energy Advisory Board and a member of the UN’s High-Level Group on Sustainable Energy for All. But Chavismo, Maduro’s brand of socialism, is killing his country. Revenues from oil have constituted nearly all of his government’s income, but with the collapse in production, Maduro’s income has fallen from $93 billion a year in 2012 to $26 billion last year. It is scheduled to fall even further, assuring his bondholders that they will never see any of their money, and will be lucky if they see any interest in the meantime. Exports to U.S. refineries have been cut in half, thanks to commitments that PdVSA has made to exchange production for foodstuffs. Rice University’s Francisco Monaldi has been watching the implosion in Venezuela and noted that roughly 1.3 mbd of Maduro’s oil goes to the country’s domestic market or is pledged through various supply and debt deals with his allies, including Russia, China, and Cuba. That leaves precious little to be sold on the open market and thus generate outside revenues necessary to sustain Maduro’s collapsing government. The New American has long complained that U.S. oil refineries were supporting Maduro to the tune of a billion dollars a month. Now that support, thanks to the collapse brought on by socialism, mismanagement, and corruption, has been cut in half, to about $500 million a month, as those refineries are now directing their attention to other suppliers in Canada and Mexico for their needs. Maduro is already in default on some $700 million in bonds, and he can’t even pay for the loading fees demanded by ports offloading Venezuelan crude. Just last week a tanker carrying Venezuelan crude to the Caribbean island of Curacao was detained, waiting for $30 million in back payments. Venezuela’s economic collapse and consequent disastrous decline in oil production — essentially Maduro’s only oxygen hose — reflects the end result of any managed economy. Socialism is based on the fraudulent idea that humans can plan other humans’ future behavior, and claim it to be for their benefit. It’s a rejection of the concept that, left alone, those humans will make the right, proper, and most expedient decisions on their own. When socialist schemes fail and they run out of other people's money, Venezuela happens. But of course that contradicts the socialist impulse of Kissinger, Birol, and the IEA, and accordingly it refrains from placing the blame for Venezuela’s collapse where it belongs.